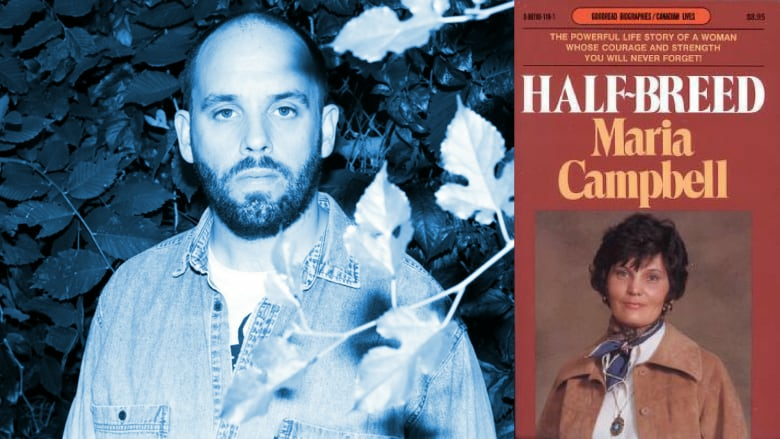 The songwriter recently read and loved Maria Campbell’s memoir Half-breed. Musician Nick Ferrio is based in Peterborough, Ont., but his roots are in Saskatchewan. He recently read Maria Campbell's memoir Half-Breed and its account of an Indigenous woman's encounters with racism, and the book resonated with him, thanks to his own Cree ancestry. Ferrio's album Soothsayer also mixes several influences to create a personal style and sound. "I think every Canadian should read Half-Breed. It's an incredible story of a mixed woman whose ancestry is part Cree. She explains the racism she faced in Canada. It resonated with me as my paternal grandmother is Cree. Because of the Indian Act, her family was forced to leave the reserve. When she moved to Toronto, she had internal racism. She was ashamed of her identity. She passed as white, so she blended into white culture in Toronto. That's a dark thing." "Reading Half-Breed felt like I was getting a story of where my grandmother's from. Maria Campbell is also from northern Saskatchewan, so it was interesting for me to get that perspective. The story is powerful — it talks about a lot of things that are affecting murdered and missing Indigenous women. She talks about drug addiction and suicide, but it's also a story about survival and it's written like a diary. She shares intimate details of her life in this way that's easy for a reader to connect to. Even though it's written in 1973, it still resonates today." Nick Ferrio's comments have been edited and condensed.